October is traditionally Halloween makeover time. Our very own Nasturtium was kind enough to let us makeover her photo. For holiday fun, this month’s contest is to turn the provided photo into a gingerbread house. You’ve been tasked to clean up the attached photo to postcard quality (pretty enough that someone viewing would want to be there). Work only with the existing photo. DO NOT add elements from other sources. 1. Contest will run from 19 Oct to 6 Nov 2016. Deadline for entries is 6 pm (U.S. Central Time…remember daylight savings). 7. Voting will run from 7 to 12 Nov 2016. Only those with entries may vote. You cannot vote for your own image. Post your votes on the Oct 2016 Contest Voting Thread. Last edited by T Paul; 10-19-2016, 06:43 AM. 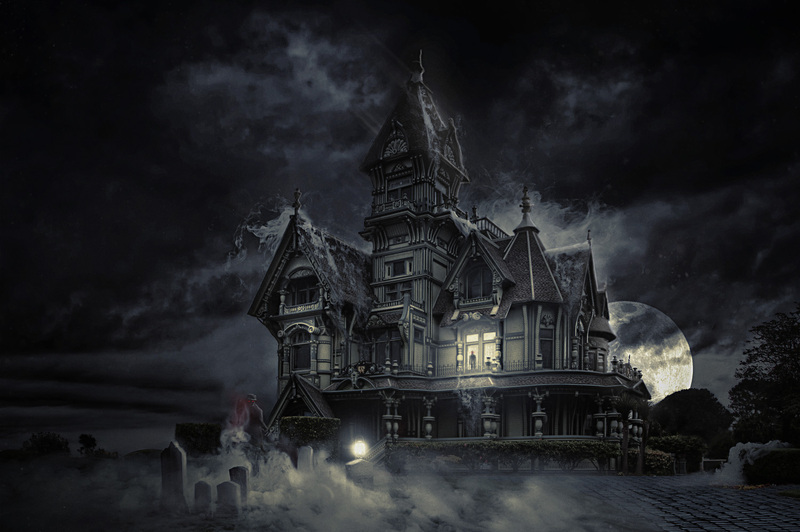 Hi everyone, here's my Halloween Image manipulation. Cheers! Last edited by justanartist; 11-04-2016, 10:56 PM. I am really hoping to get some up to date Adobe software but i'm stuck with a crappy laptop atm so i only have GIMP for now. Last edited by Amy'Elizabeth; 10-21-2016, 10:12 AM. Third try & I'm out....oh well, Happy Halloween. Hi to all! Although a longtime visitor to RP, this is my first submission. What fun to reimagine Halloween without a client looking over my shoulder. That was the inspiration for the witchly hand on a wicked crystal ball. I've already learned from each of the four already submitted images and look forward to more in the next few days! I'll post individual comments soon. Hello everyone! My first time posting on Retouch Pro. Had a great time practicing my editing skills with this image. Loving the variation in the other entries!